Dubai ruler Sheikh Mohammed bin Rashid Al Maktoum on Monday launched Dubai Harbour, a new waterfront destination that will feature the MENA region’s largest marina and the Dubai Lighthouse. The mega project will also include a cruise ship port, shopping mall, events arena, residential buildings, hotels, offices and shops. Dubai Harbour will be located on King Salman Street, in the area between JBR and Palm Jumeirah, and will be spread over 20 million sq ft. 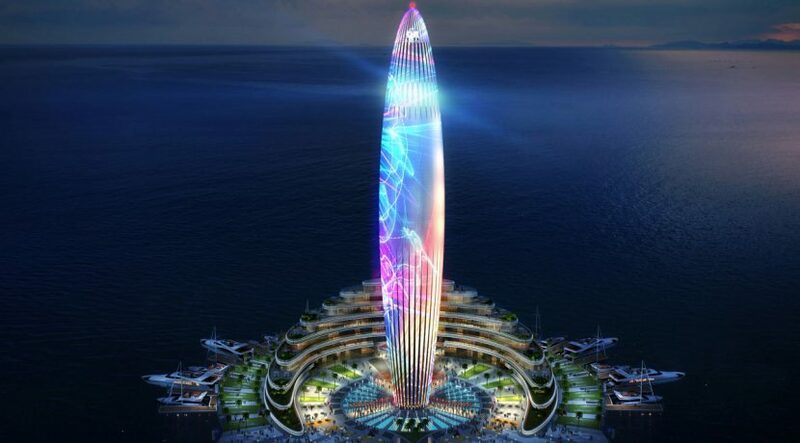 In a series of tweets, it was announced that the development will be completed in four years in phases by developer Meraas, and will include a 1,400-berth marina, a shopping mall covering 3.5 million sq ft, and the Dubai Lighthouse. 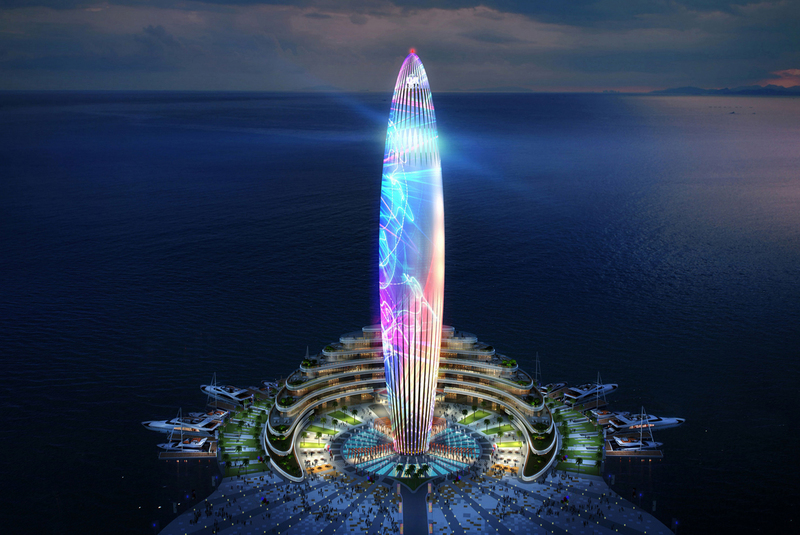 The Dubai Lighthouse will feature a luxury hotel and an observation deck that offers 360 degree views. Its facade will also be used as a gigantic screen for high resolution projections and light shows. 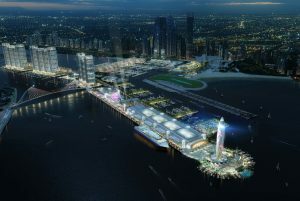 The masterplan of the new destination integrates Skydive Dubai, Dubai International Marine Club (DIMC) and Logo Island into a single community. Sheikh Mohammed said: “We are happy that this new project, which represents a unique and innovative new addition to the region’s tourism landscape, opens up a range of new opportunities to investors. “Dubai Harbour creates a venue for new investments that support our vision for this important sector and promises to further accelerate the expansion of the tourism industry in the UAE, which is already growing rapidly. I am confident that the project will have a highly positive impact on our entire region’s tourism sector. He added that Dubai Harbour is also set to enhance the city’s profile as a magnet for wealth and investment. The project promises to be an attractive destination for GCC yacht owners, who own one third of the world’s largest superyachts. The project will also feature water stations in various areas of the destination including under the shopping mall and selected hotels while there will also be three helipads. 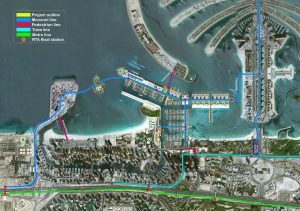 Dubai Harbour will also offer a transport network and a connected road grid and monorail system that can transport passengers between different areas of the destination. The project will play a vital role in raising Dubai’s global profile as a cruise ship hub, with a new passenger terminal, offering a duty free shopping experience, capable of accommodating 6,000 passengers at one time. In 2017, Dubai is expected to receive 650,000 maritime travellers, while 25.3 million passengers are expected to sail around the world, according to a report published recently by the Cruise Line International Association (CLIA). All rights reserved to the initial publisher for lighter side of Arabian business.